How Can Life Insurance Help Me Reach My Financial Goals? 2-DTRS | How Can Life Insurance Help Me Reach My Financial Goals? Tune into this episode to find out more! services to the community. Melisa is a strong advocate for women’s rights, economic empowerment for women and philanthropist. Melisa is a Thyroid cancer survivor and she uses her voice to encourage women to take care of their health and wellbeing. Melisa has been featured on CBS and Fox news television, Ebony Magazine, Redbook Magazine, Parents Magazine, ABC.com, BBC.com, US News and World Report, and in many other notable publications, radio broadcasts and television appearances. 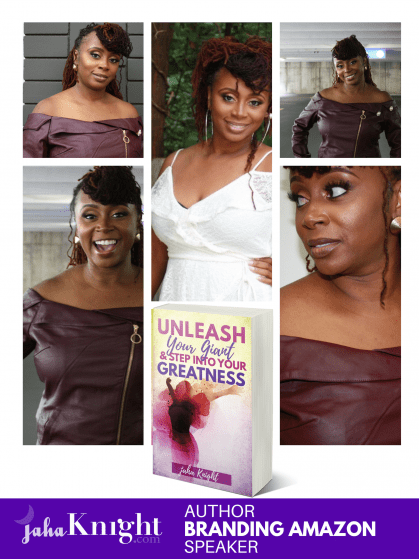 Ms. Alaba is the author of Live Out Loud, 52 Ways to Reawaken Your Spirit and Live a Life of Purpose. Live Out Loud is featured in the Chris Nolen Film, ” 72 Hours”. Melisa is also the author of the forthcoming book, You The Rock Star, available for pre-sale on March 1, 2019. Melisa Alaba is a writer, speaker , radio show host and Mom-N-Charge. Melisa earned her bachelor and Master’s degree, in psychology from Roosevelt University . Melisa offers transformational talks at corporate events, on college campuses, empowerment events and in community forums. Melisa finds joy and purpose in serving women and being a mom to three amazing daughters. Learn more about Melisa on the link below. jaha Knight - Branding Amazon with Karasi Media Group. © 2018 jaha Knight | Powered by Karasi Media Group All Rights Reserved.